Chiropractic care is used to diagnose and provide treatment for health issues that are related to the joints, nerves, bones and muscles of the body. The health provider who treats these issues is referred to as a chiropractor. 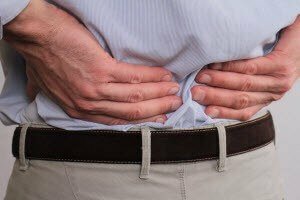 Chiropractic treatments for lower back pain can help provide significant relief. Spinal adjustments are the cornerstone treatment in chiropractic care, and they can be a very effective treatment for back pain. Always be honest with the chiropractor, and inform the chiropractor of any physical issues that limit your ability to carry out certain tasks. This includes any issues with your back. At that point, the chiropractor will begin the process of creating your care plan of chiropractic treatments for lower back pain. Also be sure to inform the chiropractor of any other symptoms such as numbness, weakness, tingling or other issues. The chiropractor will then complete a physical exam. The exam will include checking your spinal mobility. Other tests may be performed such as X-rays. Additional tests will verify if there are any other reasons for the lower back pain. Treatment may begin during the first visit, but the chiropractor may wait until the second appointment to begin treatment. The chiropractor will begin the process of spinal adjustments by having your lie on a table. The adjustments are typically performed by hand. The primary goal is to realign the spine and help make it straighter. The chiropractor may also perform soft tissue work such as massages, and other treatments to help alleviate the pain in your lower back. Chiropractic treatments for lower back pain can be very effective at eliminating your back issues. It is a safe alternative that can prevent you from undergoing risky surgery. For more information about our services, call our office today.